and the refreshing taste of Tonic. Glucose Syrup, Sugar, Water, Gelatine, Acidulant: Citric Acid. 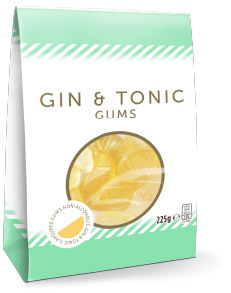 Flavourings: Gin. Glazing agents: Carnauba Wax, Vegetable Oils (Coconut, Rapeseed).